Would you like to find out what that special quilt is worth? 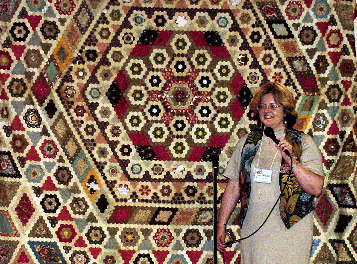 Cindy Brick will be here to appraise your quilts at a special rate for our customers. Cindy can also appraise coverlets and other textiles. *Please call for availability and to reserve your time slot. Only one quilt or other textile can be appraised per time slot, so reserve a time for each item you want to have appraised.